In January 2008, Dish Network was spun off from its former parent company EchoStar, which was founded by Charlie Ergen as a satellite television equipment distributor in 1980. 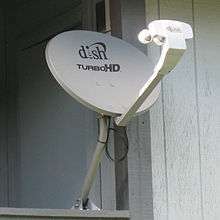 The company began using Dish Network as its consumer brand in March 1997, after the successful launch of its first satellite, EchoStar I, in December 1995. That launch marked the beginning of its subscription television services, and EchoStar has since launched numerous satellites, with nine owned and leased satellites in its fleet as of January 2013. EchoStar continues to be the primary technology partner to Dish Network. Joseph Clayton became president and chief executive officer of the company in June 2011, while Charlie Ergen remained chairman. Clayton remained in the position until March 31, 2015 when he retired leaving Ergen to resume the post. Ergen has said diversifying and updating technology for the company will be a high priority, with an expectation that, over the coming decade, the company will provide internet, video, and telephone service for both home and mobile applications. Dish's main service is satellite television. Its offerings are similar to other satellite and cable companies. Viewers can choose from a series of service bundles, paying more money for more channels. A la carte programming is available, however limited other than Premium channels. The company is currently working on diversifying its offerings. With its purchase of Blockbuster LLC, it now owns the Blockbuster trademarks and has used its intellectual property agreement to offer streaming and mail-order video services. Dish Anywhere is Dish's subscriber-only streaming video service, which includes HBO and Cinemax programming. In May 2012, the American Customer Satisfaction Index ranked Dish second among American television providers. Tailgater is a portable satellite antenna; the tailgater is able to be purchased as a standalone device for $350, The Tailgater is now being supported by a Wally receiver, to replace the still supported 211k model. Customers only need pay for the period of time where the receiver is active on the dish account, monthly cost for a Vip211k or Wally is $7 per month, if the receiver is the only one on the account, there is no charge. It weighs ten pounds, is protected from weather, and automatically searches for a signal. The only satellites that are currently compatible with the Tailgater are at Dish's 119 (SD/HD TV), 110 (SD/HD TV), and 129 (SD/HD TV) orbital slots. In March 2012, Dish began offering a digital video recorder called Dish Hopper (DVR) that can automatically record all prime time programming on the four major television networks. The DVR, which costs $10 per month, has three tuners and 2 TB of hard-disk space, half of which can be used to record 500 hours of high-definition television or 2000 hours of standard-definition television programs. The other half is for video on demand. A Hopper feature, called AutoHop, enables customers to view these programs without commercials, subject to time restrictions. AutoHop has attracted enthusiasts, critics, boycotts and legal action. At the 2013 Consumer Electronics Show Dish won an award for their AutoHop feature on the Hopper. At the 2013 Consumer Electronics Show, Dish announced the Hopper with Sling, an updated version of the Hopper with Slingbox place-shifting technology built-in, allowing the ability to watch live TV and DVR recordings online or through a free Dish Anywhere mobile app, and the ability to "fling" content from a mobile device (such as videos or photos) onto the TV as well. A Hopper Transfers app for the iPad and Android also allows recordings to be downloaded directly to the device for offline viewing and a new Dish Explorer app also provides control of the Hopper along with integration with social networks to track trends and reactions to a program [iPad only]. The new Hopper also includes a 2 TB hard drive (allowing the storage of up to 2,000 hours of standard definition recordings and 500 hours in high definition) and a Broadcom BCM7425 CPU. CNET praised the Hopper with Sling for being cutting-edge technology that "helps Dish make a strong case that its HD DVR is the most advanced out there." It subsequently nominated the new Hopper for the CES Best in Show award (which was decided by CNET), and had won the award based off the original vote of CNET's staff. However, CNET's parent company CBS Corporation vetoed the results, disqualified the device, and forced a re-vote because CBS was in active litigation with Dish. After complaints by critics (including Consumer Electronics Association CEO Gary Shapiro), CNET was dropped as the organizer of the CES awards program, and the Best in Show award was re-awarded to both the Hopper with Sling and the Razer Edge gaming tablet (which had won in the second vote by CNET). In May 2012, Dish launched DishWorld—a subscription-based over-the-top IPTV service, as an app on Roku devices, offering access to over 50 international television channels via broadband streaming. In 2014, Dish Network began to reach carriage deals with broadcasters for a new over-the-top service that would be aimed towards cord cutters as a low-cost alternative to traditional pay television. On January 5, 2015, Dish Network officially unveiled Sling TV, an over-the-top IPTV service designed to compliment subscription video on-demand services such as Hulu and Netflix. Some broadcasters have been hesitant about over-the-top services such as Sling TV, showing concern that they may undermine their carriage deals with larger conventional cable, satellite and Internet TV providers. Time Warner initially noted that the carriage of its channels on the service was only for a "trial" basis, while both Time Warner's CEO Jeffrey Bewkes and an analyst from the firm Macquarie Capital disclosed that current contract language in Dish's OTT carriage deals with the service's content distributors would cap the number of subscribers that the service is allowed to have at any given time to 5 million. Neither Dish Network or its content providers have confirmed any such cap. As of February 2016, the service has approximately 600,000 subscribers. 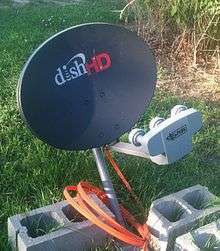 On September 27, 2012, Dish Network announced a satellite broadband service called DishNET, aimed at rural areas, to be launched on October 1. Dish Network officially began operations on March 4, 1996, as a service of EchoStar. EchoStar, a precursor to Dish Network, was formed in 1980 by its chairman and chief executive officer, Charlie Ergen along with colleagues Candy Ergen and Jim Defranco, as a distributor of C-band satellite television systems. In 1987, EchoStar applied for a direct broadcast satellite broadcast license with the Federal Communications Commission and was granted access to orbital slot 119° west longitude in 1992. In 1998, EchoStar purchased the broadcasting assets of a satellite broadcasting joint venture of News Corporation and MCI Worldcom, called ASkyB (for American Sky Broadcasting, named after News Corp's BSkyB service in Britain); the two companies had nearly merged (which called for Dish Network being renamed Sky) before it was called off due to Charlie Ergen's clashes with News Corp. executives. With this purchase EchoStar obtained 28 of the 32 transponder licenses in the 110° West orbital slot, more than doubling existing continental United States broadcasting capacity at a value of $682.5 million; some of the other assets were picked up by rival PrimeStar, which was sold to DirecTV in 1999. The acquisition (which also included an uplink center in Gilbert, Arizona) inspired the company to introduce a multi satellite system called Dish 500, theoretically capable of receiving more than 500 channels on one Dish. In the same year, Echostar, partnering with Bell Canada, launched Dish Network Canada. In January 1999, the company released the industry's first high-definition television (HDTV) tuner. In August 2003, the company launched EchoStar IX, the first satellite equipped with commercial Ka band payload for broadband service over the United States. This led the company in 2004 to be the first satellite TV service to offer local channels to all 50 states. In that year, the company also introduced the nation's first interactive TV multiple picture-in picture application for the Olympic Games, offering coverage from multiple channels at once. This year the company also acquired its 10 millionth customer. In January 2005, EchoStar bought the broadcasting assets of the troubled HDTV satellite provider Voom, including its Rainbow 1 satellite co-located with EchoStar 3 at 61.5° West. On April 29, EchoStar announced that it would expand its HDTV programming by adding the first 10 of 21 original Voom channels and mirror the channels on a CONUS slot. Dish Network added CNN HD in Spanish along with other packages in its Latino HD lineup. On January 1, 2008, the company completed its spinoff of its technology and set-top box business into a separate publicly traded company, Echostar Corporation ("Echostar"), effectively splitting the original Echostar into two separate businesses. Dish Network Corporation, the larger of the two resulting companies, focuses on programming, service and marketing of satellite television, while EchoStar Corporation runs a majority of the satellite fleet and other signal infrastructure. While neither company has any ownership in the other, the majority of the voting power of the shares in both companies is owned by Charlie Ergen. In 2011, Dish Network spent over $3 billion in acquisitions of companies in bankruptcy, which Motley Fool's Anders Bylund described as "a veritable buying rampage in the bargain bin." This includes the April 6, 2011, purchase of Blockbuster Inc. in a bankruptcy auction in New York, agreeing to pay $322 million in cash and assume $87 million in liabilities and other obligations for the nationwide video-rental company. Dish Network also acquired the defunct companies DBSD and Terrestar. Dish Network also made a bid to purchase Hulu on October 2011, but Hulu's owners chose not to sell the company. There was also speculation that Dish Network might purchase Sprint Nextel or Clearwire. In 2013, Dish made a bid for both companies. CEO Charles Ergen plans on adding wireless internet and mobile video services that can compete with Netflix and cable companies. About the new markets, Ergen said, "Given the assets we've been accumulating, I don't think it's hard to see we're moving in a different direction from simply pay-TV, which is a market that's becoming increasingly saturated." Dish Network put its Blockbuster acquisition to work by making available Dish Movie Pack for Dish Network subscribers and Sling TV for non-Dish Network subscribers. Blockbuster also has agreements that allow it to receive movies 28 days before Netflix and Redbox which could encourage customers to use these services. Dish Network also plans on offering high-speed internet. The company plans a hybrid satellite/terrestrial mobile broadband service. In 2011, it petitioned the FCC to combine the S-Band spectrum it acquired from DBSD and Terrestar, and combine this spectrum with LTE. Unlike LightSquared, Dish's spectrum has minimal risk of disrupting Global Positioning Systems. At the 2012 Consumer Electronics Show, Dish Network announced that they would be dropping the “Network” and going solely by Dish (along with a new logo) in their marketing. Dish Network's parent company will remain "Dish Network". After changing the position of a satellite orbital position from being over Mexico to Brazil in 2011, Dish Network sought companies that could make a deal, among them Telefónica. However, nothing ever came of this, and Dish decided to enter the country itself. According to the Brazilian Agency of Telecommunications (Anatel), they await the authorization of the application. Dish Network offers different types of satellite receiving equipment for obtaining signals from its diverse satellite fleet. Most of their consumer boxes are manufactured by Sanmina-SCI Corporation to EchoStar specifications. Prior to the December 2001 merger of SCI Systems and Sanmina, Dish Network receivers were produced at factories in Huntsville, Alabama and Fountain, Colorado. Currently, receiver assembly takes place in Guadalajara, Mexico and India. 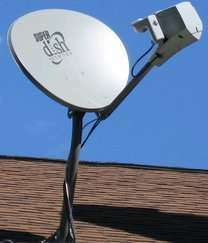 Dish Network's first satellite antenna was simply called the "Dish Network" Dish. It was retroactively named the "Dish 300" when legal and satellite problems forced delays of the forthcoming Dish 500 systems. It uses one LNB to obtain signals from the 119°W orbital location, and was commonly used as a second Dish to receive additional high-definition or ethnic programming from either the 148°W or 61.5°W orbital locations. The 119°W slot is one of two primary orbital locations, the other being 110°W, that provide core services. 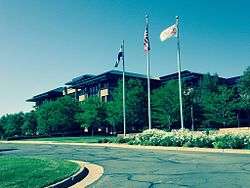 After EchoStar obtained the broadcasting assets of a failed joint venture between ASkyB and MCI WorldCom, it had more than doubled its capacity by adding 28 transponders at the 110°W orbital location. Since EchoStar also owned the adjacent 119°W orbital location it developed the Dish 500 to receive the signals of both orbital locations using one Dish and an innovative dual-LNB assembly. Although the new 20-inch Dish 500 was slightly larger than the then-current 18-inch Dish 300 and DirecTV Dishes it had the distinct advantage of obtaining signals from EchoStar's two adjacent satellite locations for a theoretical 500-channel capacity. The Dish 500, as a result, provided very large capacity for local-into-local service, nationwide programming, and business services. In order to migrate existing customers to Dish 500, Dish Network provides value-added channels in addition to local channels that can only be received with the Dish 500 and newer systems. Some of the channels exclusive to these newer systems are H2, Boomerang, Science, Planet Green, PBS Kids Sprout and Comedy Central. Dish 1000.2 (with TurboHD branding) mounted on a residential apartment railing. In spite of all this capacity, EchoStar still needed to fulfill the dream of nationwide high-definition television and conceived the Dish 1000 system to receive signals from 110°W, 119°W, and 129°W orbital locations. Originally, Dish Network high-definition subscribers required two separate satellite dishes. Currently, Dish Network subscribers can receive nationwide HDTV channels using the 129°W orbital location or 61.5°W orbital location. Because of issues with low signal strength, the older model Dish 1000 has been replaced with the Dish 1000.2. The 1000.2 has a 10% larger reflector for better signal strength and an integrated LNB for easier installation. The Dish 1000.2 is 23 in (580 mm) in diameter. Even with the larger size, there are still many reports of customers consistently losing signal on the 129°W orbital location. This has forced some customers to either use a 2nd separate Dish Network brand dish, or an aftermarket 30" dish, aimed specifically at the 129°W orbital location. On several satellite related web support forums, customers have critically suggested that the new Dish 1000.2 wasn't nearly large enough and should have been 20–30% larger to properly deal with rain fade. Later Dish Network took the approach of splitting the US into two regions. Subscribers west of Chicago use Dish 1000.2 antennas aimed at the 110°W, 119°W, and 129°W orbital locations (referred to as the western arc). Subscribers east of Chicago use Dish 1000.4 antennas aimed at the 61.5°W, 72°W and 77°W oribital locations (referred to as the eastern arc). During Dish Network's quest for capacity, they had accumulated an array of satellite broadcasting technologies, orbital locations, and surplus capacity using non-mainstream technologies requiring larger dish sizes. To capitalize on these broadcasting assets, Dish Network started providing extensive ethnic programming from lower-powered satellites broadcasting in the non-DBS portion of the FSS band. Dish Network offers specialized equipment for these customers including larger dish antennas. The SuperDish, Dish 500+, and Dish 1000+ systems receive DBS signals from both of the primary 110°W and 119°W locations (129°W for Dish 1000+) as well as lower-powered FSS signals from either 121°W, 105°W, or 118.75°W. The Dish 500+ and 1000+ systems receive circularly polarized signals in the non-DBS portion of the FSS band—the only American satellite television service to do so. While for years Dish Network has used standard MPEG-2 for broadcasting, the addition of bandwidth-intensive HDTV in a limited-bandwidth world has called for a change to an H.264/MPEG-4 AVC system. Dish Network announced as of February 1, 2006, that all new HDTV channels would be available in H.264 format only, while maintaining the current lineup as MPEG-2. Dish Network intends to eventually convert the entire platform to H.264 in order to provide more channels to subscribers. In 2007, Dish Network reduced the resolution of 1080-line channels from 1920x1080 to 1440x1080. Reducing horizontal resolution and/or data rate of HD video is known as HD Lite and is practiced by other TV providers as well. Both a standard receiver and a receiver with built-in digital video recorder (DVR) are available to subscribers. The Dish Network ViP722 HD DVR (Record up to 350 hours of standard-definition (SD), up to 55 hours of high-definition (HD)) replacement to the ViP622 has received generally positive reviews from CNET and others. Both a standard receiver and a DVR (digital video recorder) are available to subscribers for an upgrade fee. Beginning in January 2010, Dish Network charges $7.00 as a DVR service fee, which covers cost of licensing EPG (electronic program guide) listings from Rovi Corporation, with the TV Guide logo displayed on listings screens to signify the partnership. Most of the satellites used by Dish Network are owned and operated by EchoStar. Since EchoStar frequently moves satellites among its many orbiting slots this list may not be immediately accurate. Refer to Lyngsat and Dish Channel Chart for detailed satellite information. Echostar XII 61.5 000000002003-07-17-0000July 17, 2003 Lockheed Martin AS-2100 Originally known as Rainbow 1, this satellite was launched by Cablevision/Rainbow DBS and used for the Voom DBS service at 61.5° W until the satellite and transponder licenses were sold to EchoStar in 2005. Renamed EchoStar 12 in March 2006. Currently only used for spot beam capabilities. EchoStar III 61.5 000000001997-10-05-0000October 5, 1997 Lockheed Martin Missiles and Space A2100AX Replaced by EchoStar XV. Now serving as an in orbit spare. Nimiq 5 72.7 000000002009-09-17-0000September 17, 2009 Space Systems/Loral LS-1300 A Canadian satellite operated by Telesat Canada. Echostar leases the satellite's capacity. EchoStar VI 77 000000002000-07-14-0000July 14, 2000 Space Systems/Loral FS-1300 Replaces EchoStar VIII. EchoStar VIII 77 000000002002-08-21-0000August 21, 2002 Space Systems/Loral (SS/L) FS-1300 Formerly at 110. On January 30, 2011, the satellite experienced a single event upset and drifted out of its intended orbit, this required all services to be relocated to other available satellite capacity in the Eastern Arc. One week later some services were restored, but the satellite is expected to be taken out of service again and replaced temporarily by EchoStar VI in order to conduct further testing. EchoStar I 77 000000001995-12-28-0000December 28, 1995 Lockheed Martin Astro Space Series 7000 (AS-7000) Can carry a limited number of services on odd numbered transponders. EchoStar is not licensed to serve CONUS customers in the United States from this location but may transmit local stations. EchoStar IV 77 000000001998-05-08-0000May 8, 1998 Lockheed Martin Missiles and Space A2100AX This satellite had a launch issue, is now in an inclined orbit and is not currently operational. It largely serves as a placeholder for EchoStar slots. Anik F3 118.75 000000002007-04-12-0000April 12, 2007 Astrium Eurostar 3000 Customers use the 36 inch Dish 500+ or Dish 1000+ to receive this non-DBS, medium-powered signal. Anik F3 is leased by EchoStar from Telesat Canada to serve CONUS customers. It broadcasts on non-DBS FSS frequencies (~11.7-12.2 GHz) using circular polarity (the only satellite serving the United States in this mode). It permanently replaces AMC-16, which was temporarily placed at 118.75° W due to delays in Anik F3 production. AMC-16 moved back to 85° W when Anik F3 was fully operational. A primarily international satellite with international channels once on 61.5, 121, or 148. EchoStar VII 119 000000002002-02-21-0000February 21, 2002 Lockheed Martin Missiles and Space A2100AX Currently an on orbit spare. Provides Dish Network's spot beam services to the western United States, as well as Muzak programming to businesses on leased bandwidth. Echostar XIV 119 000000002010-03-20-0000March 20, 2010 Space Systems/Loral FS-1300 Replaced Echostar VII. EchoStar XIV launched on an International Launch Services Proton/Breeze M vehicle from the Baikonur Cosmodrome in Kazakhstan. Resides at an altitude of 22,000 miles. EchoStar IX/ Galaxy 23 121 000000002003-08-07-0000August 7, 2003 Space Systems/Loral FS-1300 Customers use SuperDish 121 to receive this non-DBS, medium-powered signal. Satellite is jointly owned by EchoStar and Intelsat. The Ku band is owned by EchoStar. Ka band payload owned by EchoStar and is used for leased closed-circuit broadcasts as of March 2011. C band payload owned by Intelsat and is known as Galaxy 23. Ciel-2 129 000000002008-12-10-0000December 10, 2008 Thales Alenia Space Spacebus-4000C4 Replaced Echostar-V at the 129°W orbital location. Owned by Canadian Ciel Satellite Group, EchoStar leases the entire bandwidth of the Ciel-2 satellite. Provides national HD programming and HD spot beam locals. EchoStar V Deorbited from 148 000000001999-09-23-0000September 23, 1999 Space Systems/Loral FS-1300 EchoStar V was moved from 110 to 129 and finally to 148. International programming at 148 has moved to Anik F3/118.75°. Locals have moved to spot beams at other locations. The satellite was to serve as a placeholder for EchoStar at the 148 slot. The satellite was experiencing stability issues that made signal levels unstable for the short time it was located at 148. On July 31, 2009, all remaining programming at 148 ceased. Factors now indicate discontinuation of the 148 slot, at least for the short term, 3–4 years. Since the early 2000s, Dish Network received criticism regarding controversial technology and carriage disputes with programming providers. Most notably, when the Hopper digital video recorder provided an easy way for viewers to watch certain programming without commercials, major networks sued Dish Network. Dish Network's Hopper digital video recorder, announced in January 2012, led to controversy over a feature, called "AutoHop", which allows viewers to watch some programming without commercials, subject to time restrictions. AutoHop is an extension of the DVR's prime time recording capability. When enabled, the feature records but hides commercials, giving viewers the option of viewing prime time programming on the four major networks commercial-free. Commercials cannot be skipped until 1 am Eastern Time, and the viewer must choose to do this. Recorded programs are available for eight days after they have aired. News of AutoHop met with an immediate, polarized response. The feature was deemed a "dream come true" for consumers, but for networks, a nightmare undercutting the revenue model. Dish asserted that AutoHop would encourage its customers to sample new programming. Leslie Moonves, CBS chief executive, asked rhetorically how he is to produce CSI without the revenue stream of commercials. News Corporation refused to accept Dish advertising for the device. A Forrester Research analyst said the move demonstrated Dish's desperation to keep customers at a time when alternative programming is readily available via the Internet. The controversy surrounding AutoHop contributed to one small-market station group, Hoak Media Corporation, removing its 14 stations channels from the service on June 6, 2012. In negotiations, Hoak sought a 200 percent increase in carriage fees and the dropping of the AutoHop feature. David Shull, Dish senior vice president of programming, accused Hoak of effectively telling Dish's customers that they must watch commercials, disrespecting customer control over its services. Eight days later, the two companies announced a distribution deal. Terms were not disclosed. On June 27, 2012, Dish Chairman Charlie Ergen told the United States House Subcommittee on Communications and Technology that the feature would enable parents to protect their children from alcohol and fast food advertising. The next day, Michael Petricone of the Consumer Electronics Association spoke to the subcommittee, likening Hopper to earlier time shifting devices. He argued that Hopper is legal and that AutoHop entices people to watch more television, thereby expanding television's market. CNET was also forced by parent company CBS to disqualify the newest Hopper with Sling model from the CES Best in Show award for 2013 because of its active litigation with the company. CEO Joe Clayton said that Dish was "saddened that CNET's staff is being denied its editorial independence because of CBS' heavy handed tactics." Dish Network directly attacked CBS for its decision in an advertisement for the device on its website. The ad proclaimed the DVR as being CNET's "Best in Show", but with a footnote stating that "CBS will go to any lengths to keep you from enjoying ad-skipping technology—even censoring its own writers and throwing out their decision to name Hopper 'Best In Show.' Your vote is the only one that really matters." One news report described Dish as having "an Ergen-created culture of condescension and distrust." In 2012, the investment analysis and commentary site 24/7 Wall St. named Dish Network #1 among "America's Worst Companies To Work For," an assessment based upon employee reviews at the employment website Glassdoor.com. Such reviews should be interpreted with caution, however, as reviews at such sites sample few employees compared to the company as a whole, and are weighted towards ex-employees with keenly-felt grievances; current and ambivalent ex-employees are less likely to post reviews. It should be noted that every company is subject to the same caveats and Dish was still found to be the worst. Long hours, little vacation time, and too much mandatory overtime were all common complaints. Dish's toxic corporate culture was cited as a key difficulty in its aborted acquisition of Sprint Nextel. David Hekman, a business professor at the University of Colorado said, "This will be a huge issue for the Sprint employees. If they're subjected to this meaner culture, it could be a real wake-up call." Hekman also stated, "If he gets revolt from the Sprint employees, ... then there will be no synergy, and then the merger would be viewed as a failure." Dish was aware of the problem. After announcing its attempted merger with Sprint it took out a full-page ad in the Kansas City Star declaring its commitment to "building a company that can deliver sustained growth over many years." The ad also said, "We look forward to the opportunity to work together with Sprint's board and its management team to develop a combined vision, remaining mindful of how it will benefit customers, employees, shareholders and, of course, the Kansas City community. As things move forward, we will stay in touch." Dish has very rapid employee turnover. The company does not report exactly how many people it fires each quarter. Dish refers to its quarterly culling of employees as "talent upgrades." Michael Neuman, a former president of Dish, quit after only eight months. He said that Ergen acts unilaterally and "pound[s] people in submission." No president of Dish has remained in the job for more than four years and many left after only one year. For years, Dish employees were required to clock in at the beginning of their day using fingerprint scanners. This measure angered many employees. The fingerprint scanners were eventually removed. Badges were previously used to monitor the arrival and departure of employees. The company started using fingerprints after Charles Ergen noticed some employees helping each other swipe their badges for them. If an employee is late an email is sent to human resources. Human resources will in turn contact the employee's manager, possibly even Charlie Ergen himself. Multiple former employees said it was common for Ergen to scream publicly at executives for arriving even minutes late. Dish does not allow its employees to work from home. For several years, Dish policy required that any tip over 15 percent given on an expensed meal would be subtracted from the paycheck of the responsible employee. Dish does not provide employees with company credit cards. Dish Network independent dealers have repeatedly been charged and fined for employing illegal telemarketing tactics, such as violating do not call lists and making calls in which a live telemarketer does not connect promptly after the call is answered. Dish Network terminated agreements with some independent dealers in relation to these charges. In March 2009 the Federal Trade Commission charged Dish Network and two of its dealers with multiple violations of the FTC's Telemarketing Sales Rule and the Telephone Consumer Protection Act of 1991. On March 4, 2012, Dish Network announced that it would no longer carry the AMC Networks family of cable channels upon the expiration of the satellite provider's distribution agreement with the company at the end of June 2012, citing that AMC Networks charged an excessive amount in retransmission consent payments from the service for their carriage and low audience viewership for the channels. AMC Networks responded to Dish's announcement of its pending removal of the channels as being related to a 2008 breach of contract lawsuit against Dish Network by former company parent Rainbow Media's Voom HD Networks, in which it is seeking more than $2.5 billion in damages against Dish for improperly terminating its carriage contract; Voom's high-definition channels were carried on the provider from May 1, 2005 until May 12, 2008 when Dish removed ten of Voom's fifteen channels from its lineup (the five remaining Voom HD channels were removed from Dish the day after). However, Dish states that the lawsuit is unrelated to the decision to remove the AMC Networks channels and that it ended the carriage agreement on its own terms. On May 20, 2012, Dish Network removed Sundance Channel from its channel lineup. Two weeks later on June 4, 2012, Dish relocated AMC, WE tv, and IFC to higher channel positions with AMC being split into two separate standard definition and high definition channel feeds (AMC moved from channel 130 to channel 9609 for the SD feed and 9610 for the HD feed, WE tv moved from channel 128 to channel 9608 and IFC was moved from channel 393 to channel 9607); the former channel lineup spaces occupied by the three channels were respectively replaced with HDNet, Style and MoviePlex multiplex channel Indieplex. The move is believed to be in response to an ad run during a June 3 airing of an episode of Mad Men urging Dish Network customers to inform the company to keep the three AMC Networks channels on the satellite provider with Dish stating that the relocated channel positions better reflect the channels' ratings. On June 30, 2012, Dish dropped the three AMC Networks properties, replacing AMC with HDNet movies, IFC with HDNet (which subsequently became AXS TV two days later), and WE tv with Style. The move coincided with a new agreement between Dish and AT&T U-verse. On July 12, 2012, AMC said in an e-mailed statement that it would stream over the Internet the season premiere of "Breaking Bad" to DISH customers. "Dish subscribers can register online starting July 13 for the show, which airs on July 15. We want to give Dish customers an extra week to switch providers so they can enjoy the rest of the season." On October 21, 2012, AMC Networks announced a settlement was reached between them, Cablevision and Dish in which Dish was forced to pay up to $700 Million in damages to Cablevision for damages from removing Voom owned channels off the Dish Lineup back in 2008, and in return Dish signed a new agreement to bring the AMC networks owned channels back on the Dish lineup with AMC returning October 21 and the rest on November 1st. Also, DISH simultaneously brought back FUSE, and all 4 channels were moved from "America's Top 200" to 120. During a conference call Ergen stated after being asked about the removal of AMC channels, "Our customers are not looking at zombies in New York City. They live in farms and ranches ... We have data, real data from our customers. And for whatever reason, our customers don't watch some of those critically acclaimed channels at the level that we read about in the paper, perhaps because we skew a bit rural or whatever." Bergen also said "I've had satellite television for as long as satellite television has been around, and there's never been one minute that I know of that anybody in my family or anybody who's came to my house has ever watched one second of any of those channels. They have no clue about zombies in New York City marching around saying, 'Where is my AMC?'" Soon after the call, Business Insider blared the headline, "Dish CEO says customers don't care about AMC because they live on 'farms and ranches.'" On October 21, 2014, during the early morning hours, Dish entered a dispute with Time Warner's Turner Broadcasting System. Dish removed CNN, HLN, Cartoon Network/Adult Swim, Boomerang, TruTV, Turner Classic Movies, and CNN en Español as the contract to carry those channels expired on October 20. TBS and TNT were not removed, as they are carried under a different contract. The channels were pulled without warning leaving many with questions. Dish replaced CNN and HLN with MSNBC, replaced Cartoon Network and Boomerang with Nicktoons (except for the West Feed which was replaced by a message about the removal of the channels), replaced Turner Classic Movies with FXM, and replaced TruTV with Esquire Network during the duration of the dispute. The dispute was settled and the Turner Network Channels restored on November 21, 2014. In January 2004, thirteen states charged that Echostar, then the parent company of Dish Network, had not disclosed termination fees to potential customers and had debited customers' bank accounts for hidden fees. The company settled the lawsuit, paid $5 million, and promised to disclose all terms prior to signing contracts with potential customers. Dish has also begun to collect shipping fees on equipment that needs to be returned after customers cancel their service with Dish. The shipping cost as of Sept. 2014 is $17. This fee applies regardless of whether the fee was included in the initial contract customers signed. Dish Network received about $3 billion in subsidies from the federal government to buy wireless bandwidth. Dish Network used the 1934 Federal Communications Act to win subsidies for the purchases it made at the January 2015 auction of wireless spectrum. Under the terms of that act, "designated entities" qualify for a 25 percent discount on the market price of such licenses. Dish used small subsidiaries such as Northstar Wireless and SNR Wireless in order to qualify. Dish only paid $10 billion for licenses that would have otherwise cost $13 billion. The difference would have been paid to the federal government. The FEC and the United States Senate opened investigations into the matter after numerous public complaints. Dish has been sued and countersued dozens of times. In fact, Dish uses litigation as a profit center. Charlie Ergen said, "I may be the only CEO who likes to go to depositions. You can live in a bubble, and you’re probably not going to get a disease. But you can play in the mud and the dirt, and you’re probably not going to get a disease either, because you get immune to it. You pick your poison, and I think we choose to go play in the mud.” In 2001, Dish admitted to using over 100 law firms over a ten-year period. On May 24, 2012, Dish and the networks filed suit in federal court, the Dish case in Manhattan and the networks' cases in Los Angeles. On May 30, U.S. District Judge Laura Taylor Swain ruled the networks' cases should not be filed in Los Angeles and asked for comments on a possible move of all cases to New York. In July 9 preliminary judgement, Swain denied Dish's request to set aside the issue of copyright violation, ruling that Dish's argument lacked specificity. She also ruled that the case could be heard in Los Angeles, thereby eliminating New York as a potential venue. On November 7, 2012, the United States District Court for the Central District of California denied Fox's motion for preliminary injunction for the reasons mainly because 1) PTAT and AutoHop did not infringe copyright and did not breach the contract; and 2) while QA copies constituted a copyright infringement and breached the contract, the harm from the copies was not irreparable, but was compensable with money. Fox appealed to the United States Court of Appeals for the Ninth Circuit. On July 24, 2013, the Ninth Circuit reviewed the district court's decision with a very deferential standard of review, and affirmed it. Dish fired a wheelchair-bound quadriplegic man from his job as a telephone operator in 2010, Brandon Coats, for using medical-marijuana during off-work hours. Coats used marijuana to control muscle spasms. His paralysis was due to injuries from a car crash. Coats failed a random drug test. Coats sued claiming that marijuana use was legal and that he was a model employee. Coats suit relied under a Colorado law called the Lawful Off-Duty Activities Statute that prohibits employers from firing employees for doing legal things during their personal time. The trial court and Colorado Court of Appeals ruled in Coats v. Dish Network that since marijuana is banned by federal law it does not qualify as legal activity despite being permitted by state law. The trial court ruled that Coats should have to pay Dish's legal fees; the appeals court overturned this ruling. In April 2005, Rainbow Media and Dish Network entered into a 15-year affiliation agreement whereby EchoStar’s Dish Network obtained the right to distribute the Voom channels until 2020 and agreed that it would pay Rainbow Media monthly subscription fees for the life of the agreement. The subscription fees started at $3.25 per subscriber in the first year of the agreement, and were to increase to $6.43 per subscriber by the year 2020. In a separate agreement, EchoStar’s Dish obtained a 20% ownership interest in Rainbow Media (the business unit that contained the Voom HD channels) and Rainbow agreed to invest $100 million into the Voom service each year for the first five years of the agreement. As a result, EchoStar's Dish Network announced that they would be adding ten of Voom's original 21 channels to their lineup starting May 1; the remaining channels were added on February 1, 2006. Following the discovery process, the court granted Voom's motion for sanctions. The New York State Supreme Court found that EchoStar's Dish Network "systematically destroyed evidence" in the case and stated that “it is entirely possible that the documents destroyed by EchoStar demonstrated that EchoStar knew all along that there was no breach...and would prove Voom’s case.” The Judge also stated that he would tell jurors that Dish Network destroyed evidence and that the jury may assume the evidence would have been helpful to Voom’s case. Dish chose to settle. The terms of the settlement required Dish to pay $700 million for spectrum licenses covering 500 megahertz and capable of serving 150 million people. On December 21, 2014, Dish Network dropped Fox News Channel and Fox Business Network. A failed first attempt to reach a deal on the 18th of the same month resulted in the blackout. The two parties blamed each other; Dish said Fox tried to unfairly tie in a sister channel and charge unreasonable rates. Fox pointed out the recent pattern Dish had created with other networks. A deal was finally reached on January 14, 2015 with undisclosed terms. Main article: TiVo Inc. v. EchoStar Corp.
On June 3, 2009, satellite service provider EchoStar was found by Marshall, Texas, federal district court judge David Folsom to be in contempt of a permanent injunction against using some of TiVo's technology and was required to pay the DVR pioneer $103.1 million plus interest. On May 3, 2011, Dish Network Corporation and EchoStar Corporation agreed to pay TiVo Inc. $500 million to settle a dispute over the use of some of TiVo’s technology. Dish sued its own law firm, Bartlit Beck Herman Palenchar & Scott of Chicago, for malpractice. The firm countersued and won a $40 million judgement against Dish. A panel from the American Arbitration Association said that Dish's allegations were "patently false" and "egregious." In 2012, Dish invested $500,000 in a technology startup, Yottabyte Ventures LLC, in which Christoper Ergen, the son of CEO Charlie Ergen, has 7.1 percent equity. Yottabytes develops mobile video applications. At the end of 2012, Dish held 71.4% of that company's equity. In 2011, Dish paid $100,000 to an online marketing company that Chase Ergen, another son of Charlie Ergen, owns 50% of. As part of a reseller agreement, Dish paid another firm owned by Chase Ergen $101,000 during 2010 and 2011. Candy Ergen, Charlie Ergen's wife, is paid between $100,000 to $110,000 per year in consulting fees. Other unnamed children of Ergen received about $25,000 in 2010 and 2011. These transactions were criticized by analysts. Lev Janashvili, managing director at GMI Ratings, which tracks governance, accounting and other risks in publicly traded companies, said, "These are things to be concerned about because they raise reasonable questions about conflicts of interest and the overall integrity of governance at the company." Janashvili also said, "The investment in Yottabytes Ventures LLC is a classic example of (a related party transaction) that warrants a closer scrutiny of the company's governance practices, especially because this transaction is part of a broader pattern of behaviors that run counter to the interests of shareholders. Dish is a 'controlled company' whose majority shareholder can insulate himself from the opinions of other investors." Dish has reportedly been criticized for treating analysts and major shareholders poorly. Craig Moffett, senior analyst of U.S. telecommunications, U.S. cable, and satellite broadcasting at Sanford C. Bernstein once requested time with management to learn about how Dish does business. Ergen told him, “We’re too busy creating value around here to sit down and talk about it. Thanks but no thanks.” Chris Marangi, a money manager for Gamco Investors, which held about 4 millions shares in Dish, said that the company is very uncooperative. He says that despite traveling to Denver frequently has never been able to get a meeting with Ergen or any other Dish senior manager. “They’re probably the least transparent company of any I’ve ever dealt with." Dish sends out press releases on its earnings deliberately late enough to be of little or no use to analysts and investors whom are then forced to sort through complicated filings submitted to the Securities and Exchange Commission. 1 2 3 4 5 6 7 "DISH Network Corporation Form 10-K" (PDF). Dish Network. February 18, 2016. ↑ "DISH Network Reports Third Quarter 2016 Financial Results" (PDF). 2016-11-09. Retrieved 2016-11-10. ↑ "Company Info | About DISH". about.dish.com. Retrieved 2016-10-04. ↑ "Technical details for satellite ECHOSTAR 1". N2YO.com - Real Time Satellite Tracking and Predictions. Retrieved 2016-10-04. ↑ Avery, Greg (16 May 2011). "New Dish Network CEO sees changed company soon". Business Journal. Retrieved August 1, 2011. ↑ Wilking, Rick (23 Feb 2015). "Dish Network CEO Joe Clayton stepping down". CNBC. Retrieved 24 May 2015. ↑ "Ergen lays out Dish Network's 10-year plan". Boston.com. May 2, 2012. Retrieved May 4, 2012. ↑ Graeme McMillan, Tech Land. "Sorry, Netflix: DishOnline Signs HBO, Cinemax Streaming Content." April 21, 2011. Retrieved April 22, 2011. ↑ "DISH Tops DIRECTV and Cable in Customer Satisfaction in 2012 American Customer Satisfaction Index - About DISH". Retrieved 14 August 2016. ↑ "404 Error: Page Not Found". Retrieved 14 August 2016. ↑ http://www.gadgetreview.com/ (2 September 2011). "Dish Network Tailgater Portable Satellite Weighs Just 10lbs". Retrieved 14 August 2016. ↑ Hachman, Mark (2011-08-29). "DISH Launches 'Tailgater,' a Robotic Mobile Satellite TV Antenna". PC Magazine. Retrieved 2012-07-12. 1 2 Bauder, David (2012-05-22). "Auto Hop Ad Zapper: Dish's New DVR Feature Has TV Networks Worried". Associated Press. Retrieved 2012-07-17. 1 2 "DISH Sues Networks in Federal Court". Dish's press release. May 14, 2012. Retrieved 30 June 2012. 1 2 Jeffrey, Don (June 5, 2012). "Dish's Ad-Skip Tool May Benefit From Cablevision DVR Case". Bloomberg. Retrieved June 5, 2012. ↑ Owen, Rob (2012-06-29). "TV Q&A: 'Dr. Who,' 'Rizzoli & Isles' and DVR storage capacity". Pittsburgh Post-Gazette. Retrieved 2012-06-29. ↑ Joe Flint (May 15, 2012). "Dish's ad-skipping device irks TV execs". Kansas City Star. Retrieved May 15, 2012. ↑ "DISH's AutoHop Technology Named CES Innovations 2013 Design and Engineering Award Honoree - About DISH". Retrieved 14 August 2016. ↑ Lendino, Jamie. "CES 2013: Dish Launches Sling-Enabled Hopper". PC World. Retrieved 11 January 2013. 1 2 "Dish Recorder Snubbed for CNET Award Over CBS Legal Scuffle". Wall Street Journal. Retrieved 11 January 2013. ↑ Albanesius, Chloe. "CNET Picked Dish Hopper as 'Best of CES' ... Until CBS Stepped In". PC Magazine. Retrieved 14 January 2013. ↑ "CNET loses CES awards following Dish Hopper controversy; DVR named 'Best In Show'". The Verge. Retrieved 31 January 2013. ↑ "DishWorld Launches on Roku". Broadcasting & Cable. Retrieved 5 January 2015. ↑ "Dish Adds Food Network, HGTV and Other Scripps Cable Nets to Internet TV Lineup". Variety. Retrieved 5 January 2015. ↑ "Dish Unveils Internet Pay-TV Service, Sling TV, Starting at $20 per Month". Variety. Retrieved 5 January 2015. ↑ David Murphy (April 5, 2015). "Report: Sling TV Subscriber Cap Revealed". PC Magazine. Ziff Davis. Retrieved April 7, 2015. ↑ Mike Farrell (January 13, 2015). "Dish Unveils Sling TV". Multichannel News. NewBay Media. Retrieved January 13, 2015. ↑ Jeff Berman (January 9, 2015). "Dish Network Doesn't Want Sling TV to Become Too Popular". TheStreet. Retrieved January 13, 2015. ↑ "Dish Network's Sling TV Has More Than 600,000 Subscribers". Retrieved February 19, 2016. ↑ "Dish launching satellite broadband service aimed at rural areas on October 1st". The Verge. Retrieved September 27, 2012. ↑ "Early Growth of Dish Network". Archived from the original on July 14, 2011. ↑ "EchoStar Corp (SATS.O) Company Profile". Reuters. Retrieved June 18, 2008. 1 2 3 4 5 Sherman, Alex; Grover, Ronald (October 13, 2011). "A Deeper Dish Network". Bloomberg Businessweek. Retrieved October 14, 2011. ↑ Anders Bylund (July 1, 2011). "Is DISH Building the Perfect Beast?". Motley Fool. Retrieved May 4, 2012. ↑ Fritz, Ben (April 7, 2011). "Dish Network wins bidding for assets of bankrupt Blockbuster". Los Angeles Times. Retrieved May 2, 2011. ↑ Ryan Nakashima (October 14, 2011). "Hulu no longer for sale, owners say". USA Today. Retrieved October 14, 2011. ↑ Speculations, Great (September 27, 2011). "Dish Network Looks Ready To Dance With Clearwire or Sprint". Forbes. Retrieved October 14, 2011. ↑ Phil Goldstein (August 23, 2011). "Dish's wireless plan unveiled: satellite-terrestrial LTE-Advanced network". Fierce Wireless. Retrieved October 14, 2011. ↑ Vuong, Andy (January 10, 2012). "Dish reboots business at the 2012 International Consumer Electronics Show". Denver Post. Retrieved March 21, 2012. ↑ Wiziack, Julio (20 March 2013). "TV paga terá novo competidor estrangeiro". Folha de S.Paulo. Folha.com. Retrieved 21 March 2013. ↑ "Dish 300 and 500 Pointing Guide" (PDF). Dish Network. Retrieved December 19, 2008. ↑ "Channels at 61.5°W". Lyngsat. Retrieved December 19, 2008. ↑ "Channels at 148°W". Lyngsat. Retrieved December 19, 2008. ↑ "Channels at 110°W". Lyngsat. Retrieved December 19, 2008. ↑ "Channels at 119°W". Lyngsat. Retrieved December 19, 2008. ↑ David Katzmaier; John P. Falcone (October 4, 2006). "Dish Network ViP622 HD DVR Digital Video Recorder (DVR) reviews". CNET. Retrieved December 19, 2008. ↑ "launch of Anik F3". Satnews.com. April 12, 2007. Retrieved April 21, 2012. 1 2 Stelter, Brian (2012-05-16). "A DVR Ad Eraser Causes Tremors at TV Upfronts". The New York Times. Retrieved 2012-06-29. ↑ "Moody's: Dish's Ad-Skipping 'Auto Hop' Could Hurt TV Industry". The Wall Street Journal. Dow Jones Newswires. 2012-05-25. Archived from the original on June 4, 2012. Retrieved 2012-06-29. ↑ Flint, Joe (June 6, 2012). "Dish claims broadcaster pulled signals in part because of AutoHop". The Los Angeles Times. Retrieved 7 June 2012. ↑ "Because of dispute, DISH customers lose Hastings' KHAS-TV". Lincoln Journal Star. Retrieved 7 June 2012. ↑ Flint, Joe (June 14, 2012). "Dish Network and Hoak Media reach new deal". Los Angeles Times. Retrieved 3 July 2012. ↑ "Dish Networks chairman Ergen says ad-skipping DVR protects kids from junk food, alcohol ads". Associated Press. June 27, 2012. Retrieved 29 June 2012. ↑ Tarr, Greg (2012-06-28). "CEA Supports AutoHop Innovation". TWICE. Retrieved 2012-06-29. ↑ "Dish gives Hopper the award denied to it by CBS". The Verge. Retrieved 18 January 2013. ↑ 24/7 Wall St. "America's Worst Companies to Work For." August 10, 2012. Retrieved January 11, 2013. ↑ David Schepp, AOL jobs. "Dish Network: The Meanest Employer in America?." January 8, 2013. Retrieved January 11, 2013. 1 2 3 4 5 6 7 8 9 "Dish Network, the Meanest Company in America". bloomberg.com. 2013-01-03. Retrieved 2016-03-28. 1 2 "Dish's Charlie Ergen talks: I'm easy to work with for high achievers (Video) - Denver Business Journal". Retrieved 14 August 2016. 1 2 "Dish Network's Fingerprint Scanners Email HR And Your Boss If You're Minutes Late". Retrieved 14 August 2016. ↑ "Dish Network to pay $50,000 for violating state No Call law". May 5, 2005. Retrieved December 19, 2008. ↑ Catherine Dominguez (January 13, 2006). "PUC issues warning to Dish Network over do-not-call violations". San Antonio Business Journal. Retrieved December 19, 2008. ↑ "FTC Charges Dish Network Marketers with Do Not Call and Abandoned Call Violations". Retrieved December 19, 2008. ↑ "FTC Charges Dish Network, Formerly Known as EchoStar, with Multiple Do Not Call Violations". Federal Trade Commission. March 25, 2009. Retrieved May 14, 2009. 1 2 Baker, Liana B.; Adegoke, Yinka (May 4, 2012). "CORRECTED: DISH subscribers could lose 'Mad Men' in dispute". Reuters. Archived from the original on May 6, 2012. Retrieved May 4, 2012. 1 2 "Dish Lowers Boom On Rest Of Voom". Multichannel News. 2008-05-14. ↑ Dish Network Kicks AMC Networks Channels To Nosebleed Section Of The Dial, Deadline.com, June 4, 2012. ↑ Lawler, Richard (July 1, 2012). "AMC dropped from Dish Network, cuts a new deal to stay on with AT&T U-verse". Engadget. Retrieved 4 July 2012. ↑ Blessing, Kelly. "amc-to-stream-breaking-bad-premiere-to-dish-customers". Business Week. Retrieved 16 July 2012. ↑ Moraes, Lisa de (12 July 2012). "amc-vs-dish-viacom-vs-directv-brawling-satellite-providers-and-cable-companies-take-different-tactics". The Washington Post. Retrieved 16 July 2012. ↑ "News - About DISH". Retrieved 14 August 2016. ↑ "Dish Network Says Ranchers, Farmers Don't Care About AMC, So We Asked Real Ranchers, Farmers". 9 August 2012. Retrieved 14 August 2016. ↑ "Home". Retrieved 14 August 2016. ↑ Andreeva, Nellie (21 October 2014). "CNN Among Several Turner Networks Dropped By Dish In Carriage Dispute". Retrieved 14 August 2016. ↑ "Have A Complaint About Dish Network?". Channel 3000. January 23, 2004. Archived from the original on October 9, 2008. Retrieved December 20, 2008. ↑ "Dish Network Goes Back on their Word - Nathaniel McCallum". Retrieved 14 August 2016. ↑ "Ergen-omics: Charlie Ergen uses federal subsidies for small businesses to turn his billion-dollar Dish Network into a wireless player - Watchdog.org". 4 May 2015. Retrieved 14 August 2016. ↑ Flint, Joe (July 9, 2012). "Networks score in AutoHop fight against Dish". Los Angeles Times. Retrieved July 10, 2012. ↑ Fox Broadcasting v. Dish Network , District Court for the Central District of California (hosted by Santa Clara law Digital Commons) (District Court for the Central District of California November 7, 2012). ↑ Fox Broadcasting v. Dish Network , United States Court of Appeals for the Ninth Circuit (United States Court of Appeals for the Ninth Circuit July 24, 2013). ↑ "Voom Files Against EchoStar". Inside Satellite TV. 8 June 2008. ↑ "Dish Lowers Boom On Rest Of Voom". Multichannel News. 14 May 2008. ↑ "Dish Network: No Room For Voom". Multichannel News. 2008-05-13. ↑ "Rainbow Pulls Plug On Voom HD Service" from Multichannel.com 18 Dec 2008. ↑ Linda Moss, "Cablevision replaces Voom suite with premium HD services," from Multichannel News, 21 Jan 2009. 1 2 Van Voris, Bob (24 November 2010). "EchoStar's 'Egregious' Acts in Destroying E-Mail Threaten Court Defense". Bloomberg.net. ↑ Ramachandran, Shalini (16 September 2012). "Dolans,Dish Take Old Spat to Court". The Wall Street Journal. ↑ Manne, Geoffrey (25 November 2010). "More on EchoStar's Questionable Litigation Tactics". Forbes.com. ↑ Frankel, Daniel (11 July 2012). "Dish Facing Doom in Voom Litigation, Analysts Say". PaidContent.org. ↑ Seifert, Dan (21 October 2012). "Dish Network and Voom HD settle lawsuit, AMC programming to return as soon as tonight". Retrieved 14 August 2016. ↑ "Fox News channels go dark on Dish as contract talks stall". Retrieved 14 August 2016. ↑ "Fox News Channel And Dish Ratchet Up War Of Words Over Carriage Talks Stalemate". Retrieved 14 August 2016. ↑ "Fox News and Dish Network finally come to terms - Hot Air". 16 January 2015. Retrieved 14 August 2016. ↑ Steven Russolillo (May 3, 2011). "Dish, EchoStar Settle TiVo Patent Litigation". The Wall Street Journal. Retrieved May 2, 2011.